In the 2002 French general elections, Jean-Marie Le Pen, then leader of the far right Front National, made it through the first round by winning 16.86% of the vote, ahead of Socialist candidate, Lionel Jospin’s 16.18%. The Frontrunner, Rally for the Republic (RPR)’s Jacques Chirac, obtained 19.88% in that first round. With Lionel Jospin out of the race for the second round, French voters immediately sensed the danger of what a win by Jean-Marie Le Pen would mean for France and what the French proudly refer to as “Les Valeurs Républicaines” (values of the Republic). The carefully carved international image of France as a welcoming country would also be tarnished. To prevent the feared nation brand catastrophe, all main parties worked together to rally mainstream France behind the centre-right Chirac with the same message, “Le Pen should never walk through the Élysée Palace as President”. So, for the first time in the history of modern French politics, the world saw French Socialists and other left wing parties standing together to urge their supporters to vote for a right wing candidate. In fact, their desperate vote was more of a move against Le Pen than one demonstrating love for Chirac. While there was no love lost between the RPR and the PS (Socialist Party), their leaders shared love for the country and cared about its global image. A call for a tactical vote was therefore in order. In the end, Jacques Chirac won the national election with a clear 82.21% lead against Jean-Marie Le Pen’s 17.79%. With a massive tactical vote, the French electorate managed to keep France from falling into what, to them, would have been sure hell. This scenario is likely to repeat itself in 2017 when France goes to vote again. This time, the Socialists, probably led by the greatly weakened President François Hollande on the one hand and, on the other hand, a still-to-be-chosen candidate from Les Républicains (first rebranded from RPR to ‘Union for a Popular Movement’ in 2002, then to its current name in May 2015), will once again be faced with the prospects of a strong lead by the Front National. This time, the far right wing party will be led by Jean-Marie Le Pen’s daughter, Marine Le Pen. Her popularity has been soaring in the polls in recent months thanks to a weakened economy under the Socialists and growing fear of seemingly uncontrolled borders allowing refugees from Syria and elsewhere into the country. Marine Le Pen’s opportunistic political rhetoric has been anchored on protecting the French from a potential onslaught by, particularly, terrorists. If Marine Le Pen gets ahead of the socialists again in the first round of next year’s elections, a likely scenario, it is possible that the PS will throw its weight behind Les Républicains to rally for a tactical vote similar to the one that defeated her father, fourteen years ago. I recalled this French experience recently, following a discussion with a politically aware friend who used to hold a senior public office in South Africa. A few other friends and I almost fell out of our chairs when the comrade casually declared that he intended to spoil his vote. There were a few of us around the table; all eyes fell on this grown-up man who, probably more than everyone else in the room, knows what sacrifices were made by hundreds of thousands of South Africans in order for us to enjoy the right – I should say obligation – to vote. One should never underestimate the pain and fear felt by people who were born into, grew-up in and have supported the ANC all their lives when they suddenly find themselves contemplating a vote switch to another party. Such a move doesn’t happen over-night. To be concluded, it requires many weeks or months of thinking, convincing, checking, analysis and back to rethinking. Even after all of this, there is no guarantee that their conscience will not get the better of them while they stand alone in the voting booth. It’s like asking someone to exchange their religion for another. There are moments of intense fear, doubt and, in some cases, a resort to the easy way out, that means giving the party another chance, despite the odds. I can tell you that it can also be like a switch from believing in the existence of God to believing that it’s all been a fairy tale. This process is never helped by the fear of what could be hiding in the belly of a party like the DA, of which a handful of individual supporters – when frustrated by everyday life issues that confront all of us – easily resort to generalised racist insults against all black people. This is despite honest attempts by DA leaders to steer the party away from the stubborn racist associations many black people have of it in their minds. Many people I know believe DA leaders mean well, but that this main opposition party is being used as a Trojan Horse by many unrepentant racists and apartheid apologists. The party needs an in-depth rebranding. EFF leaders do not make themselves any favours when they seem bent to introduce policies that will further polarise South Africans along racial lines. The UDM’s Bantu Holomisa might lack charisma, but he is a courageous leader who is never afraid to say what he believes. I believe that his voice of reason is still needed in our national assembly. So is that of COPE. This is despite many of their leaders having been there when the rot began under Mbeki. They said nothing when their leader supported and defended African despots like Mugabe, Al Bashir, and others who continue to wreck the economies of their countries to this day. 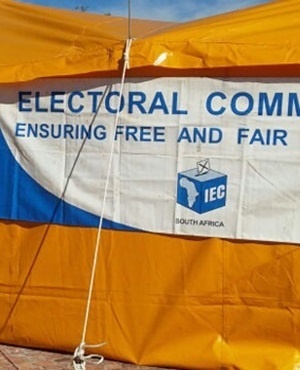 Given recent-year events in South Africa, it’s time for a tactical vote against the ANC. Some of the power it carelessly yields might be better off redistributed to other parties in order to humble it a bit. The health of South Africa’s democracy and its key institutions needs this political power redistribution more than at any other time in our recent post-1994 history.